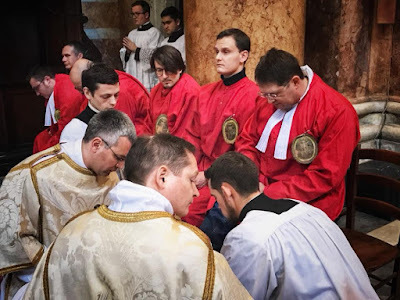 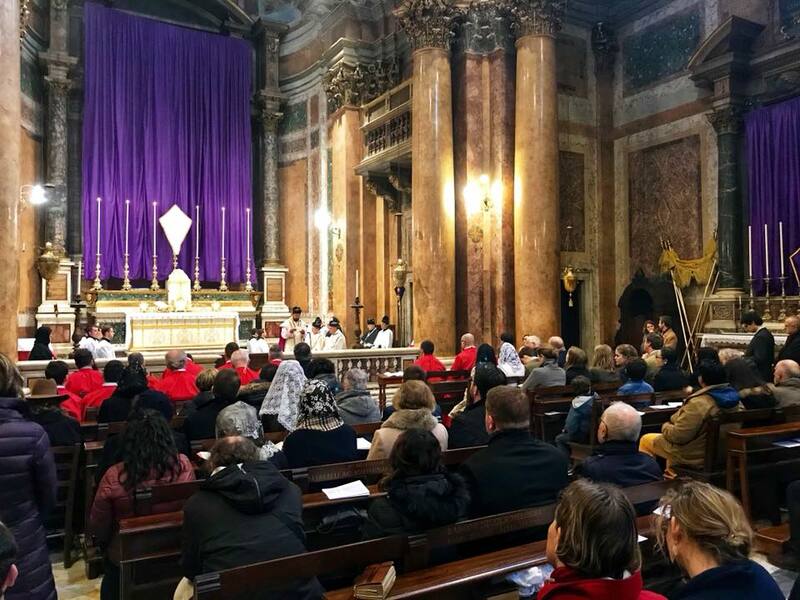 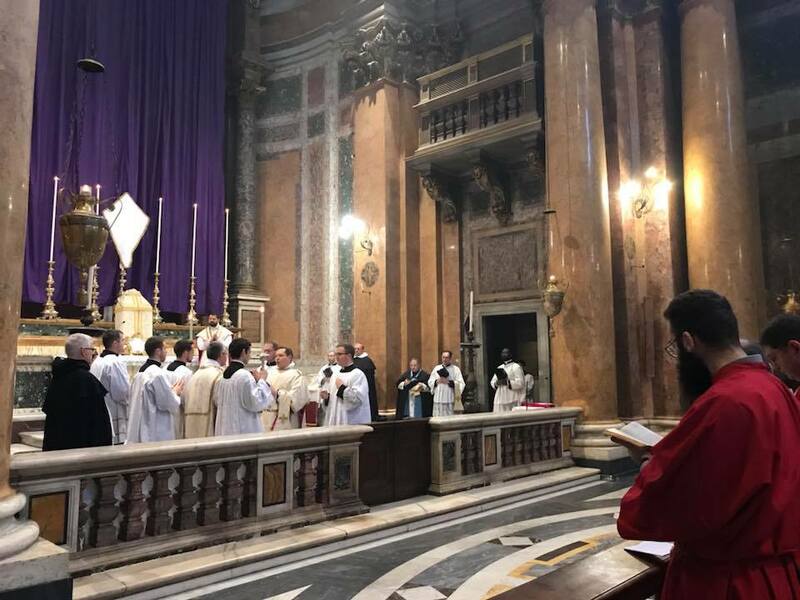 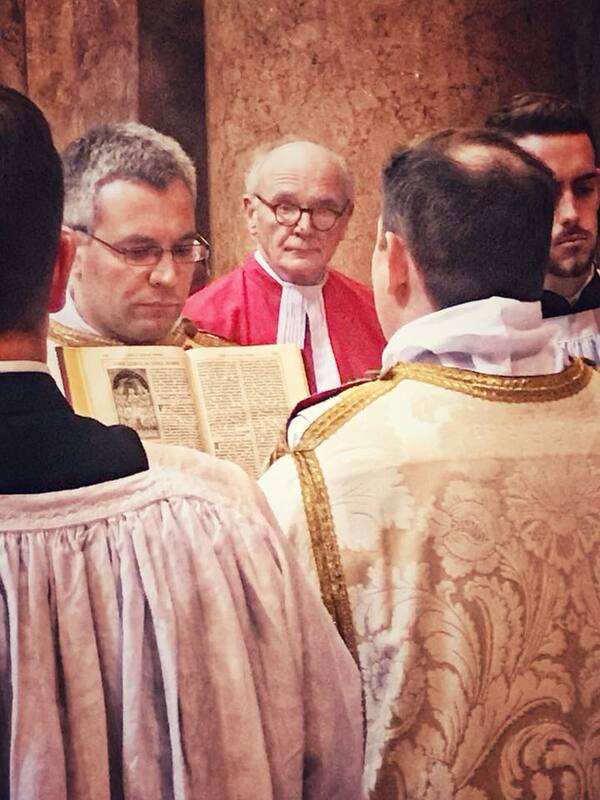 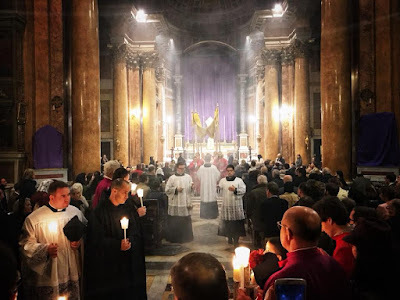 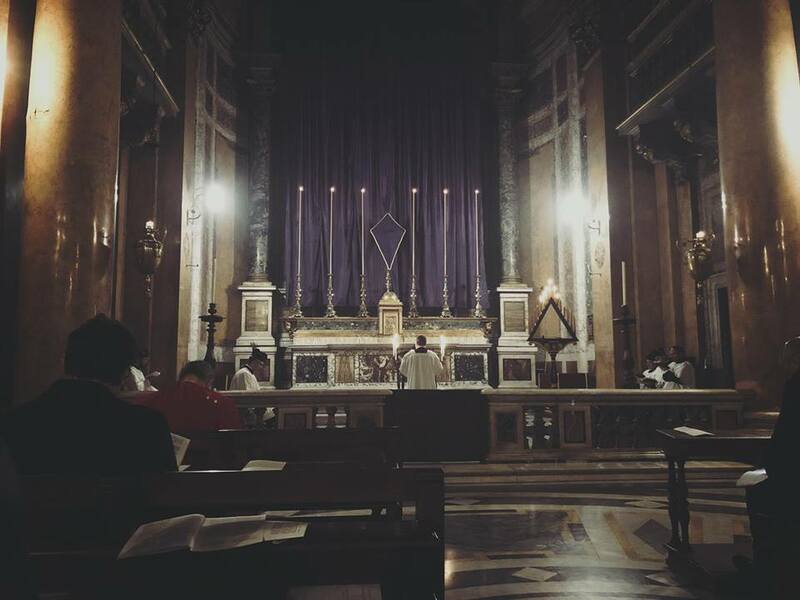 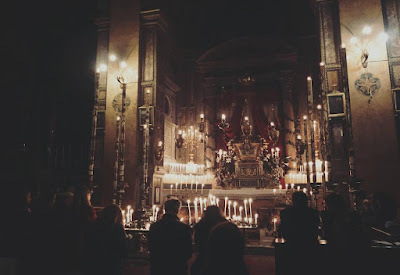 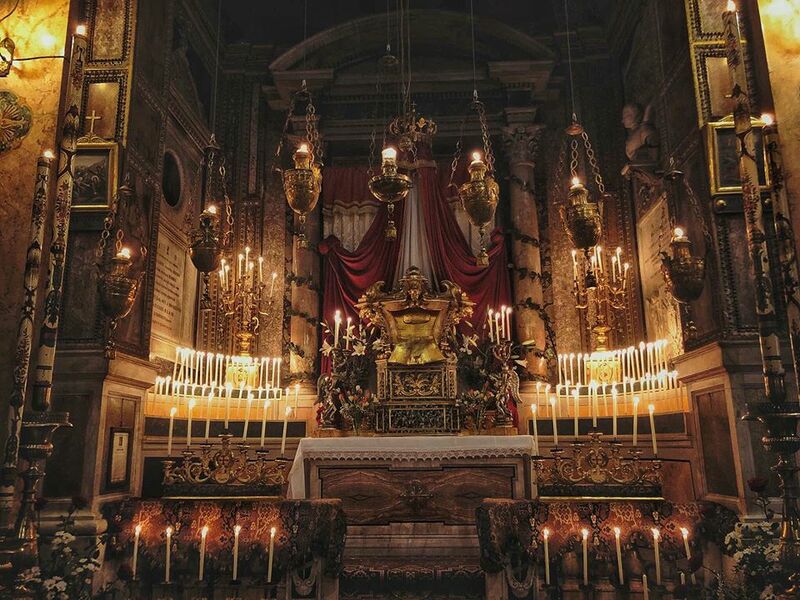 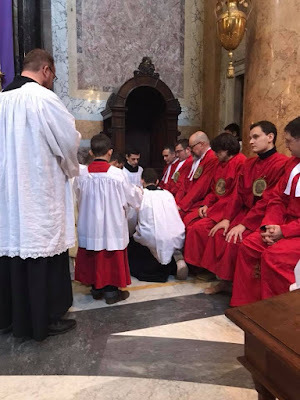 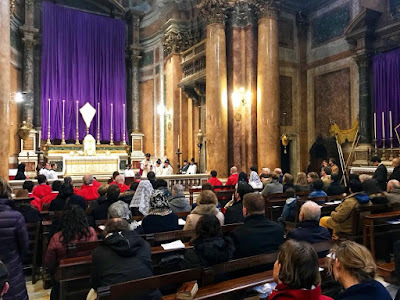 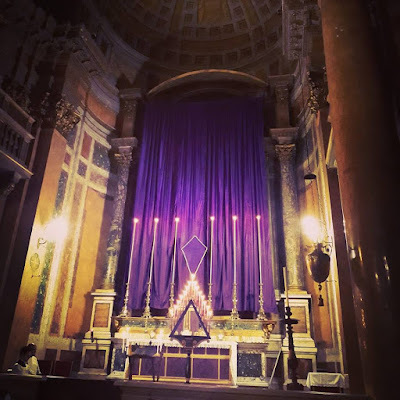 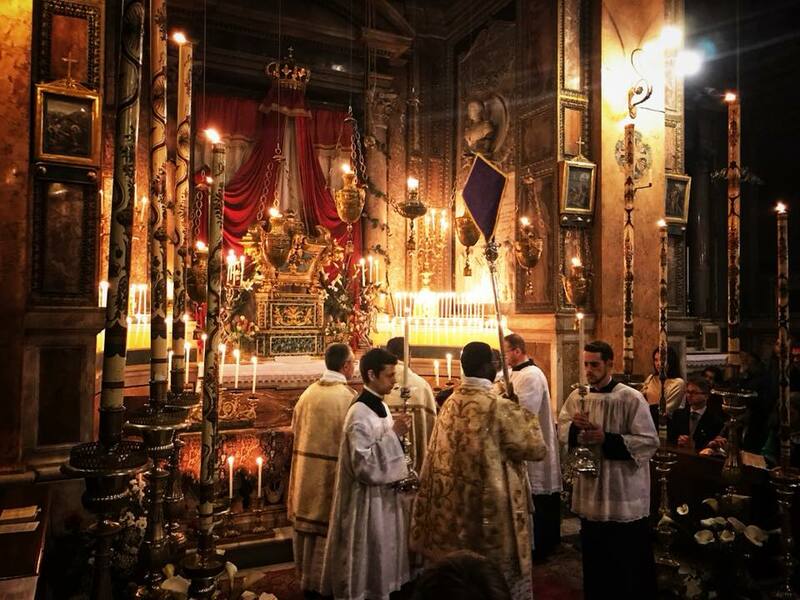 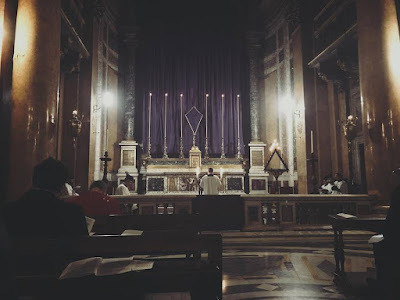 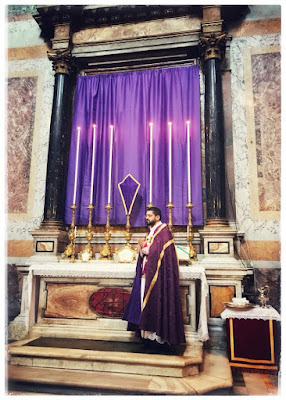 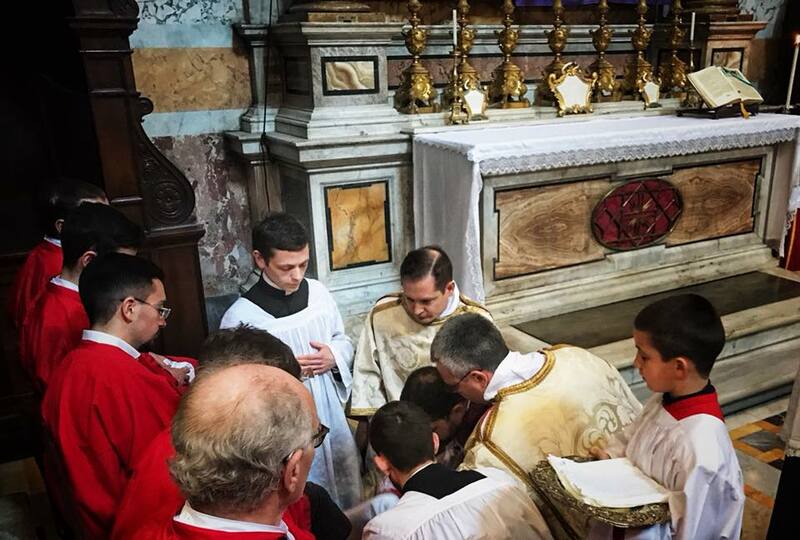 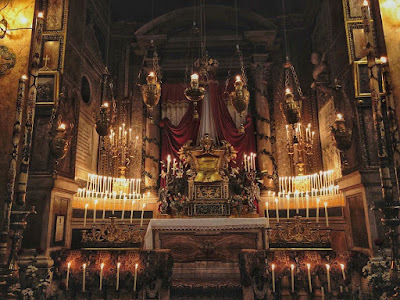 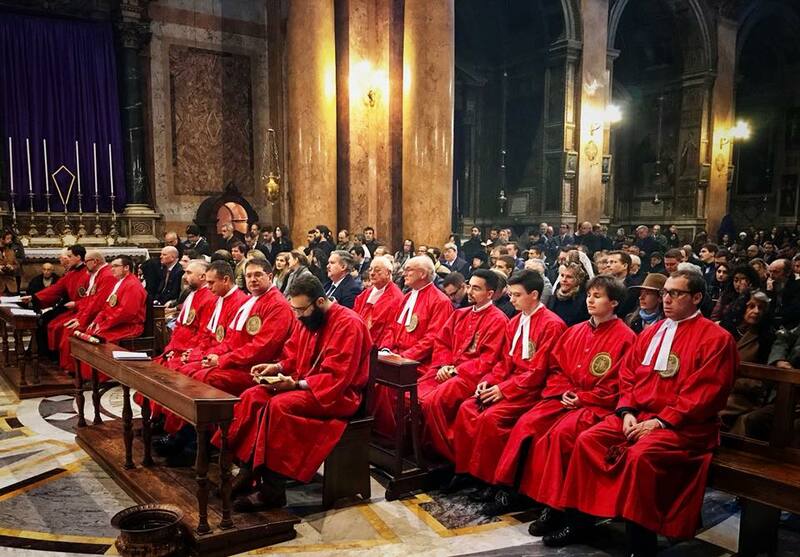 I decided to make a special post of Maundy Thursday at the FSSP’s Roman parish, Santissima Trinità dei Pellegrini, since the ceremonies were not just done particularly well, but also particularly thoroughly. 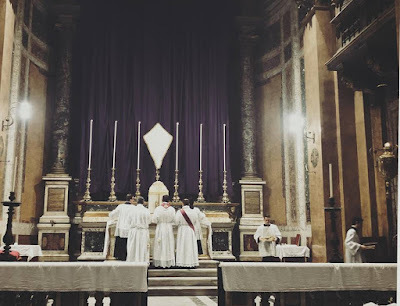 In addition to the Mass of the Lord’s Supper and Tenebrae, the stripping of the altar was done, and more notably, the Mandatum was performed for the first time in many years. 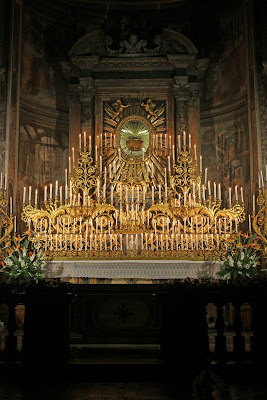 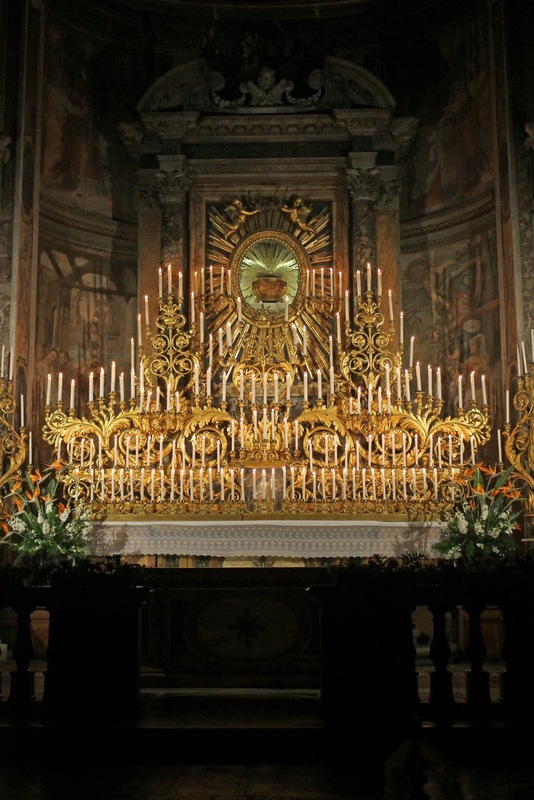 The altar of repose is also extremely beautiful; courtesy of Fr Alek, we also have a picture at the end of the famous altar at Santa Maria dell’Orto, with an unusually large number of candles.